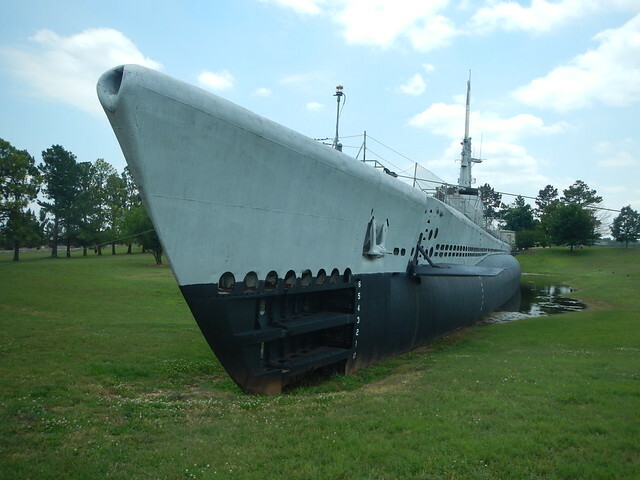 Logan and I ventured down to the town of Muskogee, Oklahoma to look at the USS Batfish. 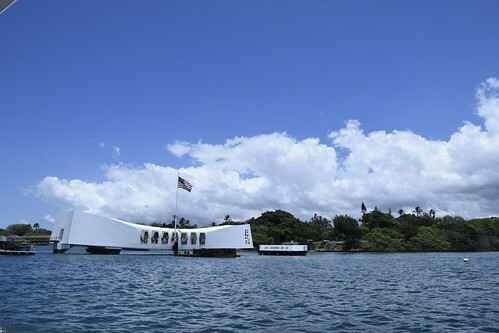 A World War II United States Navy Submarine that is on display there. 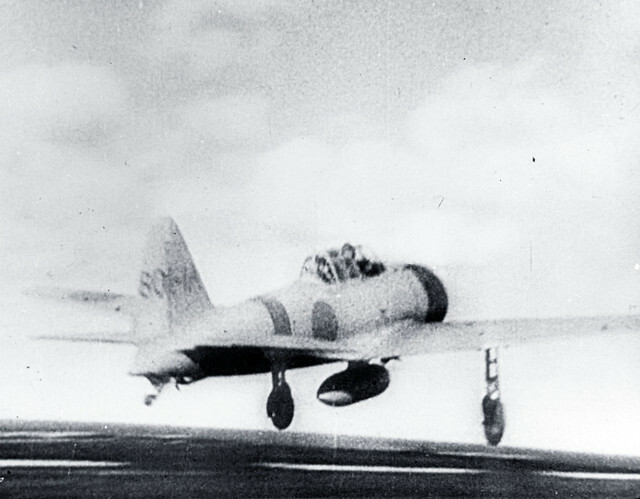 The Batfish has a distinguished war record highlighted by sinking three Japanese submarines in a 76 hour period. You can read about the history of the Batfish and its war record here. 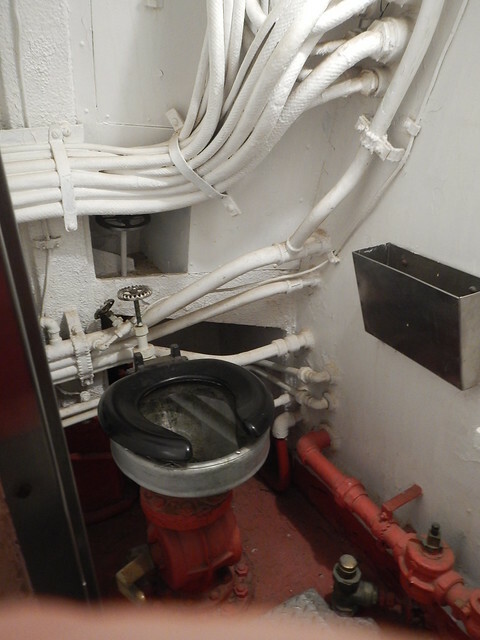 The thing about submarines is how cramped they are even though they look big on the outside. They are a war machine after all designed to sink other ships and so everything is secondary to that. Above Logan is standing next to the diesel engines that powered the vessel. I know a little bit about those engines. They are Fairbanks Morse engines and they pack a lot of power in a small space. They have two crankshafts and each power cylinder has two pistons. The crankshafts are linked together. 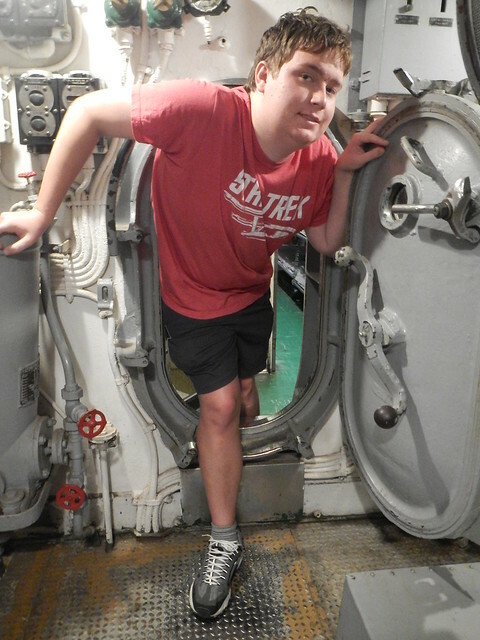 I don’t think my 6’3″ son should sign up for the submarine service. The vessel is packed with dials, gauges, valves, and all sorts of gadgets. The sub is open and there are very few “don’t touch” signs. The sleeping areas are very small. 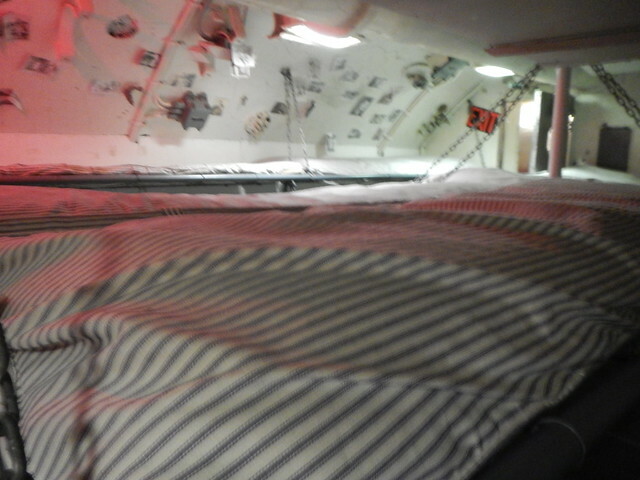 These are triple bunks with very little room. They had cots over the torpedoes. They only had enough beds for half the crew. The crew had to share beds. Yuck. 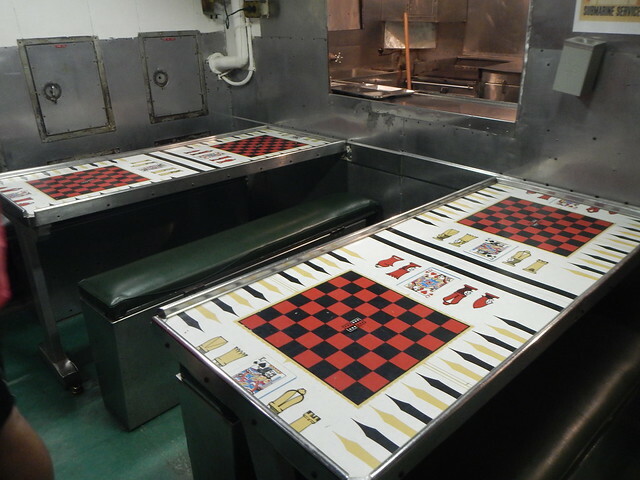 All the areas had double duty, dining table, game table, conference table. Not too many toilets either and they were not that easy to operate. 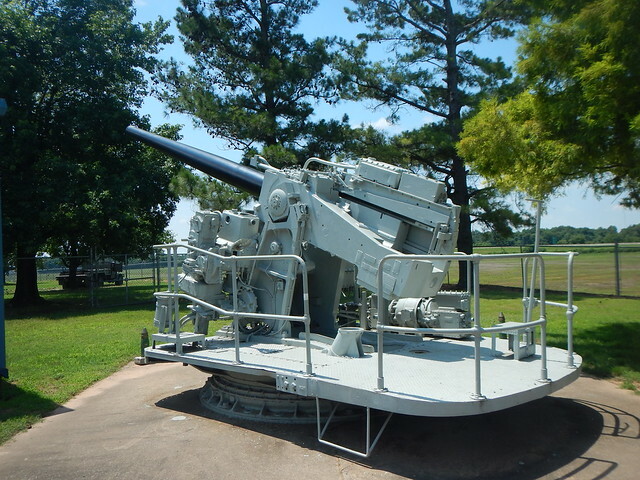 The USS Batfish is part of the Muskogee War Memorial Park and they have a nice little museum and other information. Before you visit check out their facebook page to make sure they are open. There is a small admission charge. 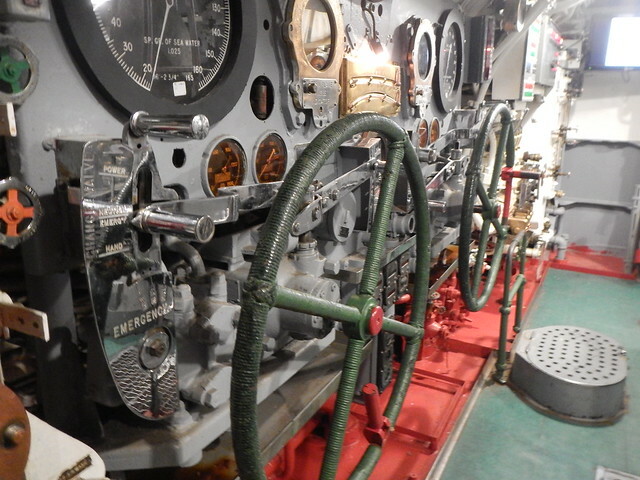 The place is run by volunteers who really have a passion for the submarine. 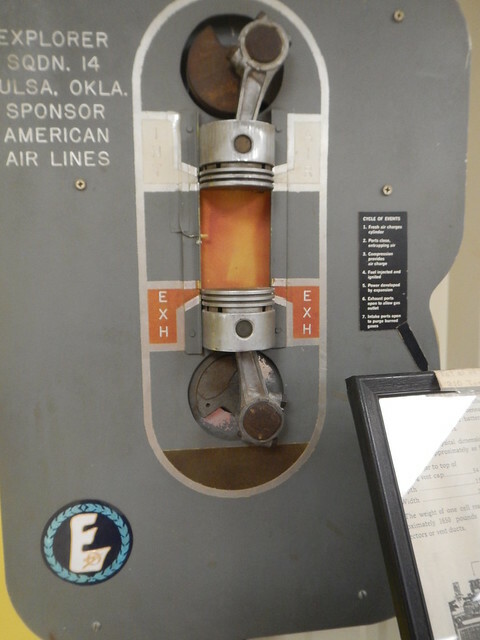 How did a submarine come to be placed in Oklahoma The Wikipedia entry for the submarine has the backstory. 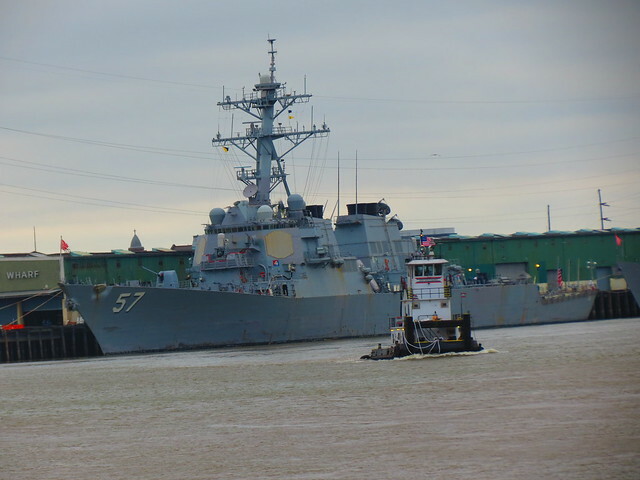 The submarine was placed on six barges and towed from the Mississippi River to Muskogee on the McLellen Kerr Navigation System, a 445 mile long water way with multiple locks and dams that has made Tulsa’s Port of Catoosa the most inland seaport in the country. 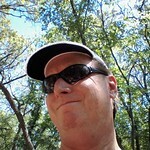 We had a good time and spent a couple of hours and I “found” a virtual geocache placed in the submarine. 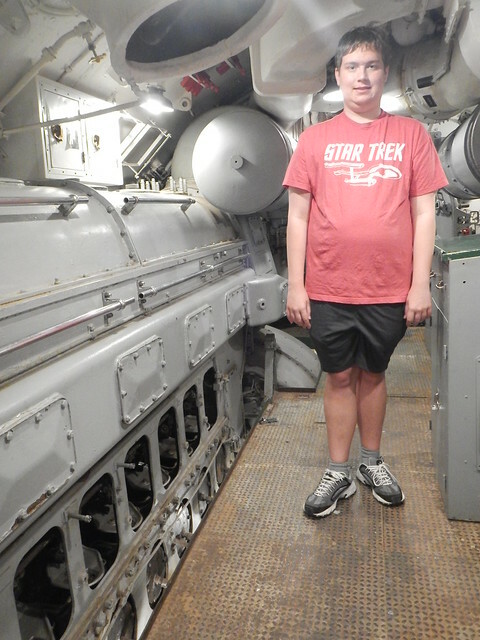 This entry was posted in Our World Tuesday and tagged "Navy History", "World War II History", Attack submarine, Diesel engine, History, Museum, Muskogee, Oklahoma, Our World Tuesday, Submarines, United States Navy, USS Batfish, World War II on July 16, 2017 by Alan Bates. 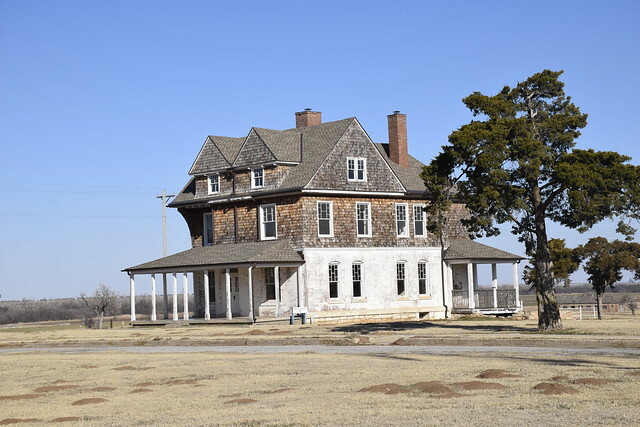 Recently I stopped in Fort Reno just west of Oklahoma City. Fort Reno has a long history. It was initially built in 1875 for the US Cavalry to monitor the Southern Cheyenne and Southern Arapahoe Indians in the area. 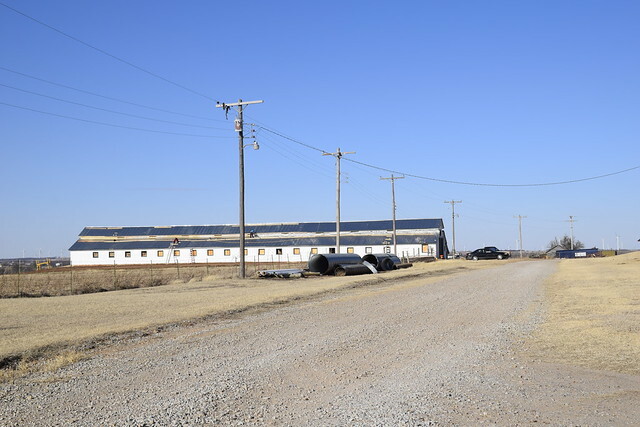 As time went on and the Indian Wars subsided the post was converted to an Army Remount Facility operated by the Army Quartermaster Corps with the purpose of breeding, raising, and training horses and mules for the military. It held that function until 1947 along with a brief interlude as a prisoner of war facility during World War II. 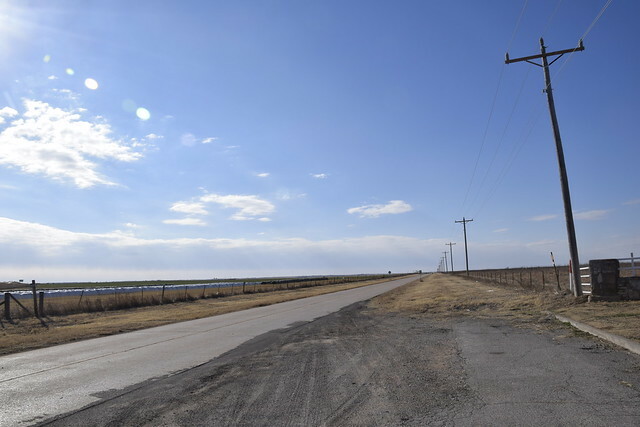 The property is now administered by the US Department of Agriculture as an Agricultural Research Station. I love the many old buildings. Many of which are restored. Above is an old Officer’s Quarters. It looks in good shape on the outside. I wonder what life was like back in day living out in the middle of nowhere. One of the original mule barns that it is being restored. I love the cemetery located a quarter mile or so from the rest of the post. 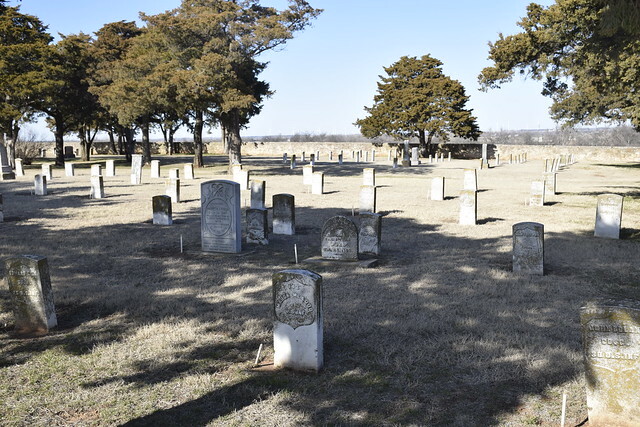 Lots of old graves here, many marked, “unknown” , a few soldiers who died during the Indian wars and lots of employees and family from the Remount Station days. 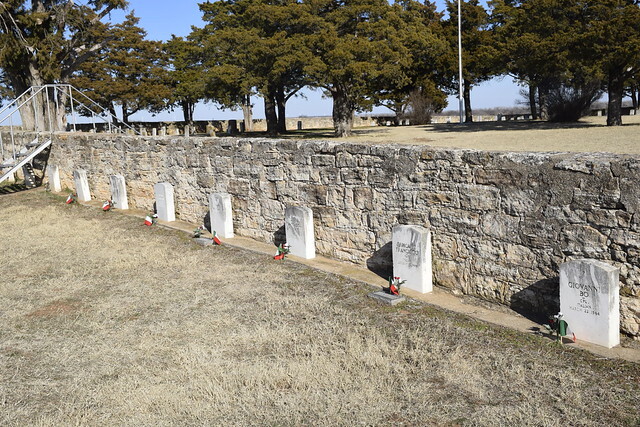 In a walled off section of the cemetery are graves of German and Italian soldiers who were prisoners of war during World War II. They didn’t all die here. 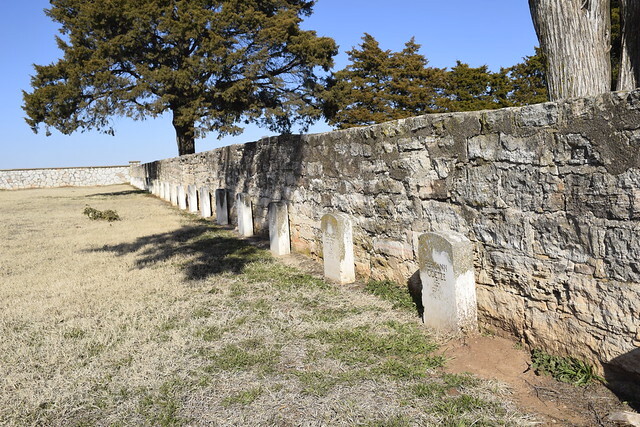 Oklahoma had several POW camps and after the war the men who died were all disinterred and brought to Fort Reno. The Italian soldiers were all buried together and somebody keeps their graves decorated. A few of the men have been disinterred by the families and the remains returned to Italy. This is the most famous POW buried at Fort Reno. 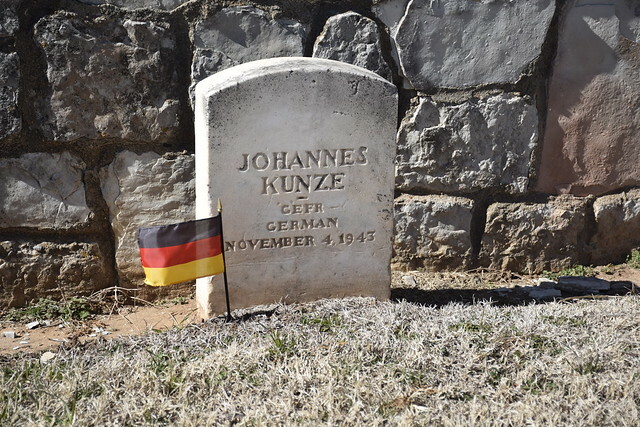 Johannes Kunze was a member of Rommel’s Afrika Corps and was taken prisoner in north Africa and sent to Oklahoma. He turned into an informant for the Americans and was found out and brutally murdered by his fellow prisoners. The Americans picked out five prisoners and charged them with murder. They stood trial, defended by an Army picked civilian attorney who had never practiced criminal law. The Army prosecutor was Leon Jaworski who later found fame as the Special Prosecutor during the Watergate scandals. Of course the five Germans were found guilty and were hung by the Army at Fort Leavenworth in Kansas right after the war ended. I posted about this last year. I just love stuff like this. Speaking of Prisoners of War. 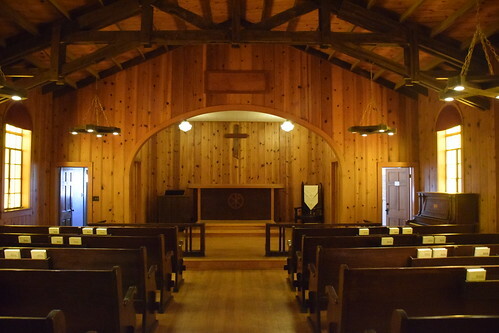 The Germans built this chapel at the Fort during WWII. You can rent it for a wedding or other occasion. I think that would be cool.Check on how to do it here. 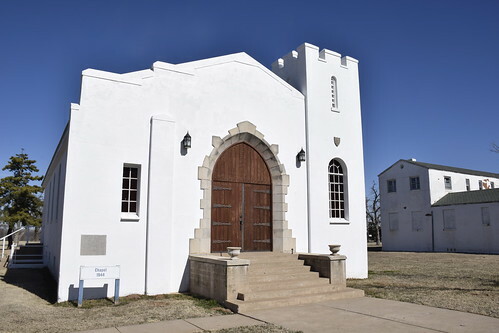 This entry was posted in Our World Tuesday and tagged Fort Reno, History, Oklahoma History, Our World Tuesday, World War II on January 30, 2017 by Alan Bates. 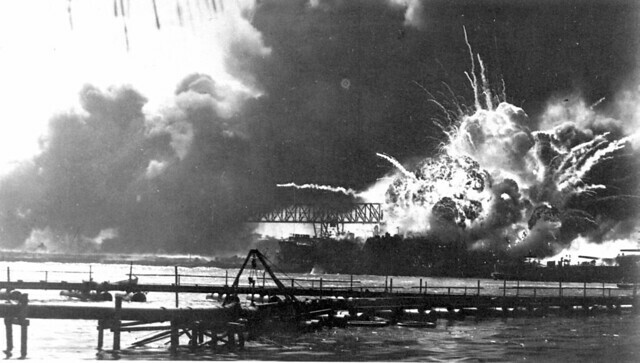 Seventy Five years ago 365 Japanese aircraft from six aircraft carriers attacked Pearl Harbor. 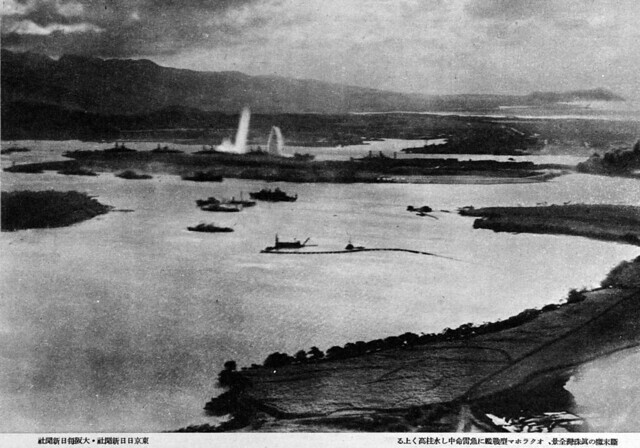 The Japanese damaged eight Battleships, sinking four, and sunk or damged numerous other ships, 188 landbased aircraft, and other facilties. 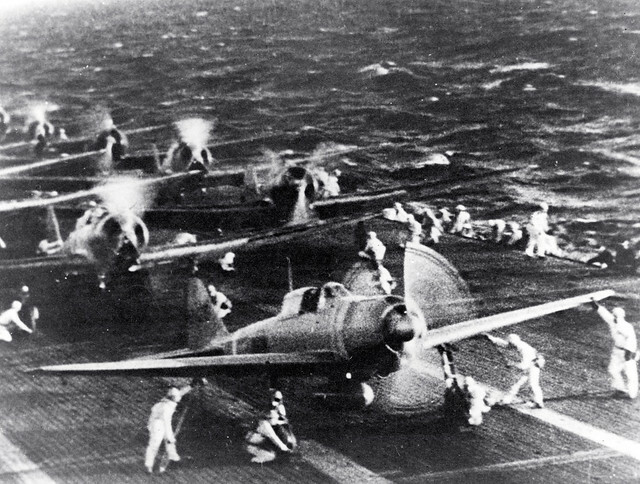 The Japanese attack, along with numerous other attacks at other American facilities the same day, was meant to keep America from interfering with Japanese plans to dominate Asia. It didn’t work. 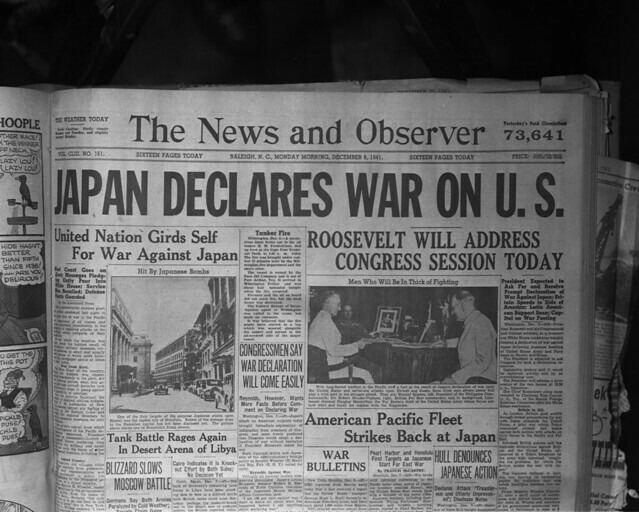 All it did was make the United States to declare war on Japan. Japan awoke the sleeping giant and made us mad. It took several years but we beat them. It is one of those events that wwe will never forget. We were caught unawares and paid the price. Nothing like it ever happened again until the radical Islamic cowards killed thousands of civilians in the US years later. 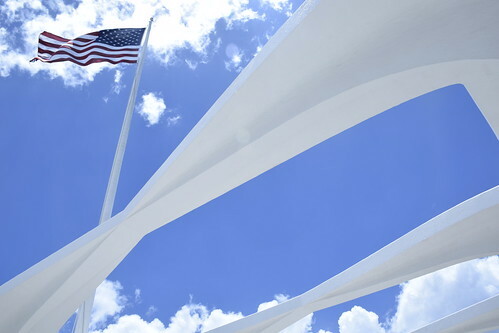 So a couple years ago we got to visit the USS Arizona Memorial at Pearl Harbor. Normally I take lots of photographs everywhere I go, but it didn’t seem right to do so when I was actually there. The place is so sacred and humbling. Time stands still. It is actually a tomb for sailors whose bodies are still inside the ship. 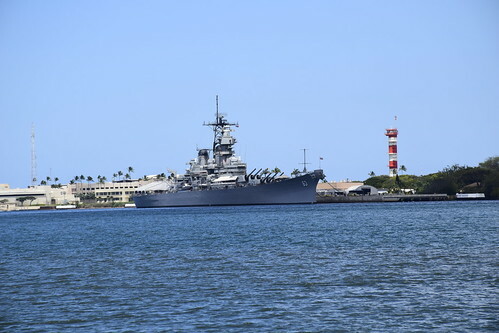 Across the way, is the USS Missouri. 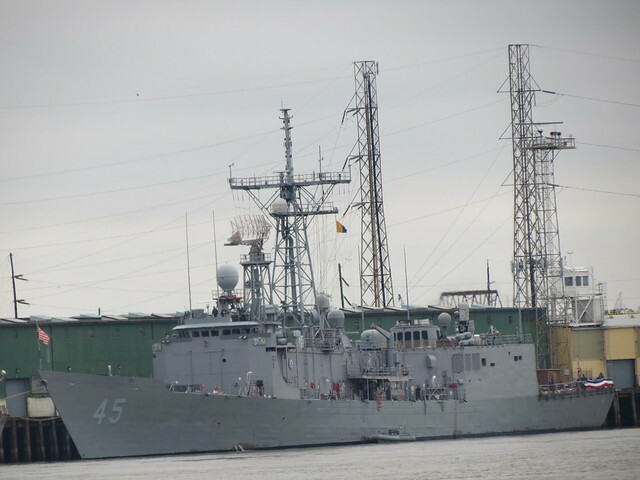 My brother Bob served on her during the 80’s when she re-entered service. I got to attend the rechristening in San Francisco. That was a highlight of my life. 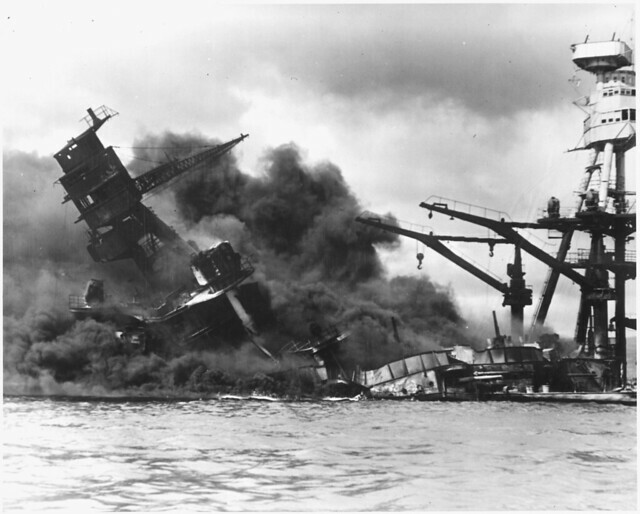 This entry was posted in Hawaii and tagged Graves, History, Pearl Harbor, Skywatch Friday, USS Arizona, War, World II, World War II on December 7, 2016 by Alan Bates. 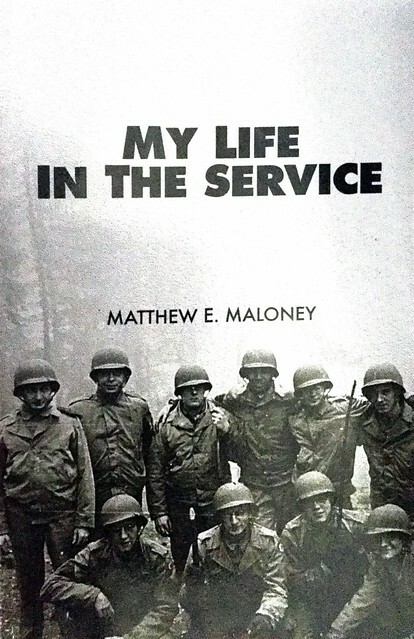 My Life in the Service is the story of my Uncle Matt, a pharmacist from Idaho who served his country in the Army during World War II. He kept a diary during that time and the book is a transcription of his diary. I did some of it, my Dad did the rest and the husband of my cousin in California made it into a book (and I think that he did a great job). I think I first started transcribing the book in middle 1980’s and the book just came out in print just recentlly. Most of the entries were very brief and reflected a life in the Army of hurry up and wait, endless inspections, the waxing an waning of military discipline. He was a pharmacist, not an infantryman so he dispensed medicine and was always in the rear echelon. 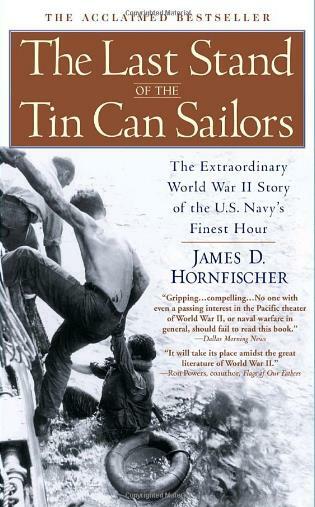 Still he sailed on a troop ship (the USS Susan B. Anthony which sunk by a mine in the English Channel during the invasion of Normany – no lives were lost) from New York to Algiers in 1943 and then while on land experienced air raids. (Nowhere in the book does he describe his life being in danger). He spent time not only in north Africa but Italy and France. He seemed like he had a lot of free time. He and his buddies were always catching rides to go visit cities and see the sites. He tried to climb up Pompei but it was erupting and raining down hot stones on him and he retreated. He visited Naples, Rome, and various cities in France. He ate great dinners, drank a lot of beer, went to dances and the opera. He took a lot of pictures, many of which are in the book. He took pictures of his buddies, German and Italian prisoners, the Eiffel Tower, cathedrals, mountains, meadows, and anything else that piqued his interest. Film was hard to get in wartime so he used a lot of paper film and developed it himself. His curiosity about the world and his desire to sample as much of it as he could comes through in the book. 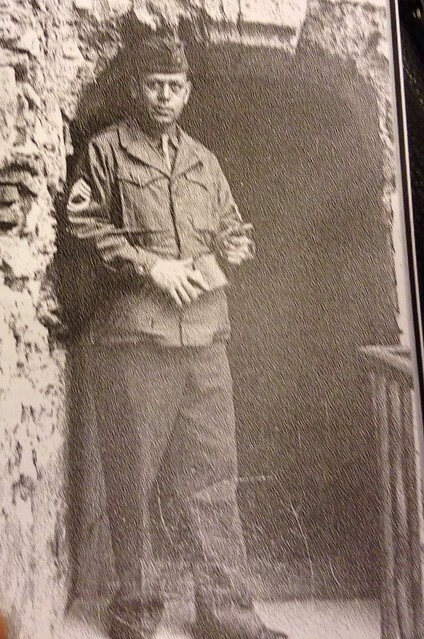 His diary started when he went in the Army and ended when he got out, a period of July 7, 1942 to September 8,1945. I remember Matt as one of the world’s great guys. He was a lifelong bachelor and was a partner in a pharmacy in Jackson, Wyoming from the 1940’s to his death in mid 1970’s. If you were a visitor to Jackson during this period you probably went to his store. It was Jackson Drug Company, right on the square in downtown. He lived in an apartment upstairs, right down the hall from the local draft board. Our family visited him quite a bit back then, back before the Jackson became a home for the beautiful people. The local paper, the Tulsa World, has been featuring once a week or so survivors of the war and telling their stories. It has been a favorite part of the paper for me, reading the stories of these young men and women who entered the war with an attitude that they had a job to do. Uncle Matt’s experience reads similarly. 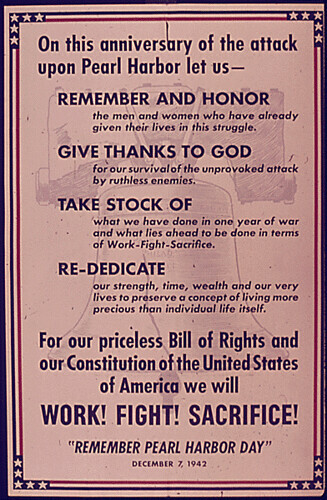 A reflection of a different time in our country when attitudes were different. This entry was posted in Books, Family and tagged Books, Family, World War II on September 25, 2016 by Alan Bates. 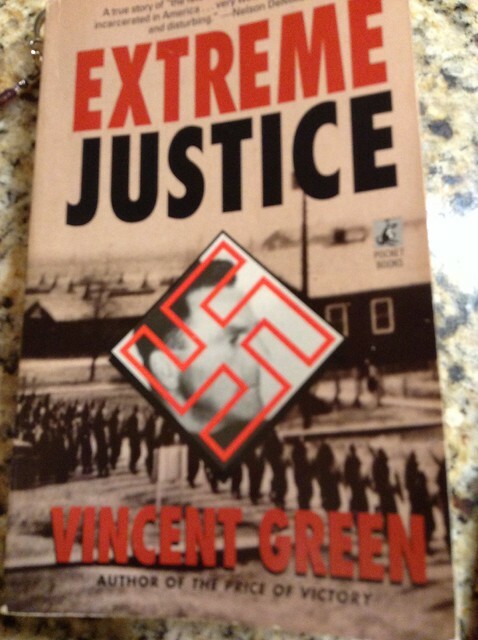 I just finished reading Extreme Justice by Vincent Green. It is a fictionalized account of an interesting historical event. 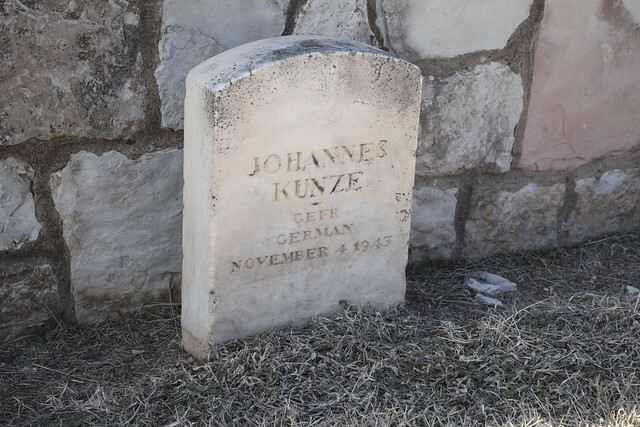 The murder during World War II of a German soldier by Johannes Kunze by his fellow prisoners at a prisoner of war camp in Tonkawa, Oklahoma,after they found out that Kunze was acting as an informant to the Americans. It is a fascinating book from many different aspects. The soldiers were some of the 275,000 German soldiers of the famed German Afrika Corps who surrendered to the Americans and British after losing the battle North Africa. Some interesting things to me were that the German non-commissioned officers strictly forbade the soldiers under them to read anything the Americans provided about the war. They insisted that the Germans were winning the war and that soon America would be a German colony. They also taunted their American guards by saluting them with Heil Hitler salutes and such. The other thing was that the Americans guarded the perimeter of the camp but the Germans had free rein on maintaining order and discipline inside the camp especially at night. So what happened was that in November 1943 a German NCO found out that Kunze was informing to the Americans and he scheduled a meeting of the prisoners late at night to discuss the matter. When the other prisoners found out what was happening they rioted and brutally beat and murdered Kunze. The American guards finally went in and found out what happened and basically arrested the five prisoners that had the most blood on them. The German’s were flabbergasted because they considered it strictly a German affair and none of the American’s business. They actually thought that after Germany won the war then it wouldn’t matter.The Americans had a different view. They were afraid that if they let these guys off and word got out then they could lose control of all the POW camps. They also knew that there were American prisoners in Germany who for one reason or another had been sentenced to death but had not been executed yet. Nobody wanted to start the executions because they knew the other side would execute their prisoners. So the Americans wanted a very fair, at least in appearance, trial that would withstand international scrutiny. The trial was to observed by a Swiss Embassy diplomat. The Americans also wanted the prisoners to be found guilty. For the lead prosecutor they picked their top man, Leon Jaworski, who later became famous as being the Special Prosecutor during the Watergate scandal. The Army could have picked any defense lawyer in the country to defend the Germans and Jaworski made requests that somebody competent be appointed but the Army appointed a civil attorney from Arkansas who had never tried a criminal case of any sort to be the defense attorney. So from there it was kind of a farce especially with a jury of American military officers. The trial itself was considered secret and when the verdict came it was considered secret also and none of the prisoners were told what the verdict was or what the punishment would be. They were all sentenced to hang. So they were all led back to their cells where they eventually figured out what their fate was to be. There was some hope because late in the war, the Americans had 14 Germans condemned to die and the Germans had 15 Americans condemned to death and there was negotiation of a prisoner exchange at the German -Swiss border. One thing led to another and chaos descended on Germany and then Hitler killed himself and the Americans had no idea who in Germany could make the exchange happen. Then the the allies liberated the prisoner of war camps and retrieved the condemned Americans. That and the discovery of the German concentration camps had disgusted the world with Germany and Germans and nobody was in a mood to be merciful, and all that destroyed the German’s hopes. One day, soon after the German surrender, the prisoners, who were held at the Army’s Fort Leavenworth prisoner, were marched one by one a quarter mile to a warehouse where they were hung in a gallows rigged up in an elevator shaft. Apparently it took about 20 minutes for them to die after being hung according to the book although they were unconscious. All told fourteen German POW’s were executed for killing informers among them. The book is very informative and moves at a fast pace. Yes the trial that the German prisoners had was a farce but they were among 200 or so who beat Kunze to death. Only one person, a German chaplain tried to stop the murder but he was told to leave by the other prisoners. So maybe justice was served but there is a lot of mud out there for everybody. As an aside we still read about farces like this every day here now in America. Criminals who are defended by incompetent attorneys before judges who don’t seem to care. I’ve heard that the criminal justice system in the US is not concerned about Justice, it is about due process or procedure. I can’t tell you how many times when an official of a law enforcement agency excuses stupid conduct by an officer by saying, “Everything that was done was in full compliance with our procedures.” Like that excuses anything. Don’t get me wrong, I am a strong supporter of law enforcement and hate criminals but an unjust system is corrosive to society. Anyways, this is my extended review. The book is out of print. I purchased a used copy on Amazon for 99 cents plus three times that postage and handling. I also see where you can download a pdf version for free here. 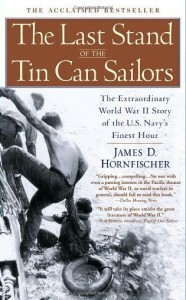 This entry was posted in Books and tagged Books, German Prisoners of War, Germans, Prisoners of War, World War II on March 25, 2016 by Alan Bates. 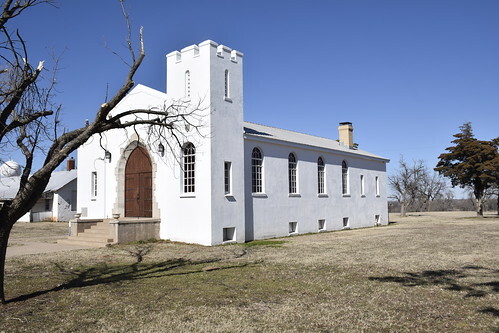 Fort Reno has a chapel built by German Prisoners of War in 1944. It is a solid concrete structure with a basement. 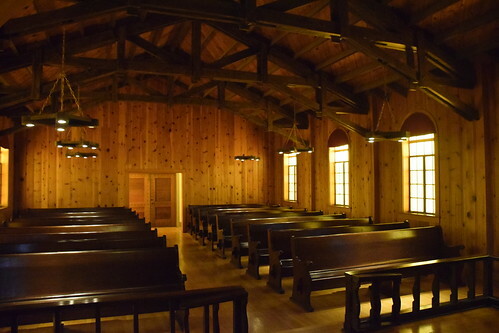 I don’t think any church services are held there but you can rent it for a wedding for a mere $500. There are some by gum federal government paperwork to get the required permits out so if you are going to rent it, start early. And if you are going to toast the bride and groom with anything stronger than ginger ale, don’t do it here. So I couldn’t find out who designed it or if they just told the prisoners to go build it or just what but it has a definite German feeling on the outside and a kind of Western/German vibe on the interior. The windows are a translucent yellow and the walls and ceiling are pine and so the interior is very yellow, subdued and kind of pleasant. It is simple yet gets the job done. I loved the ceiling joists, and the chandeliers, they show a definite sense of style. Downstairs is a fully equipped kitchen and a big dining room. Just saying if you were wanting to have a wedding and reception with an old west military flair this would be just the place. 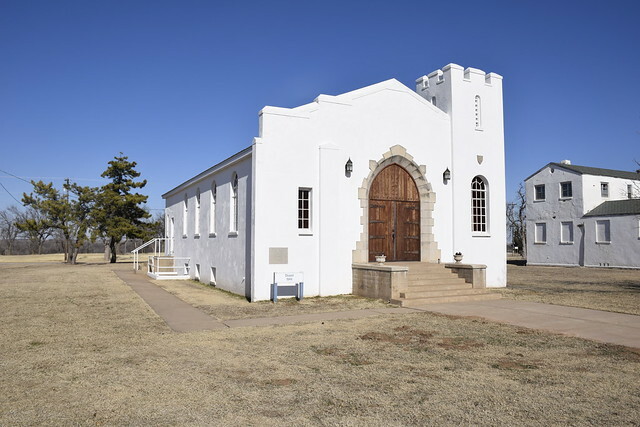 This entry was posted in History and tagged Chapels, Churches, Fort Reno, Germans, History, Oklahoma History, Prisoners of War, World War II on February 10, 2016 by Alan Bates.